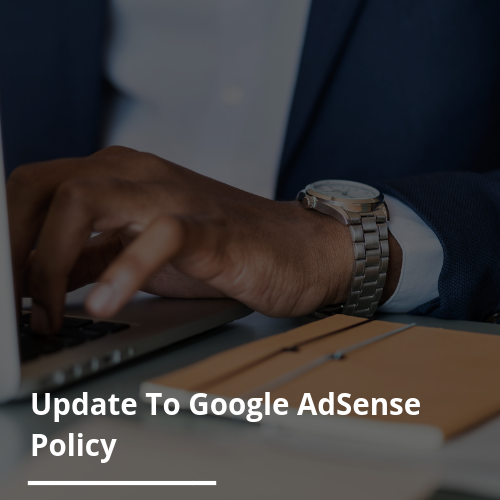 The Google AdSense policy has been updated so now every new site must be verified in order to display ads. Any AdSense publisher who wishes to place ads on more than one site will now have to add each individual site to their account. From here, each site must go through a 2-part verification process determined by Google. The first part of the verification process will establish whether the AdSense publisher owns/has editing access to the domain they want to place ads on. The second part involves Google reviewing the site against its AdSense policies. If Google doesn’t approve a site, it will be marked as ‘Needs Attention’ and the advertiser will be given the opportunity to amend the problems that are preventing the site from being approved.